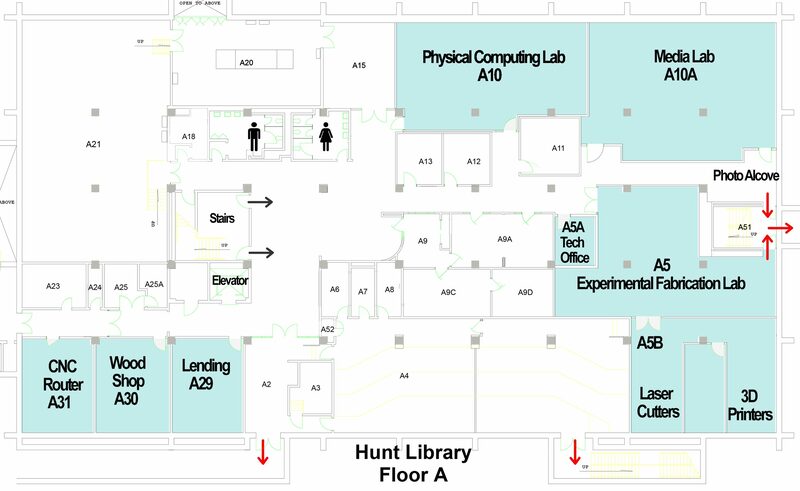 The IDeATe classrooms, Studio A (106B) and Studio B (106C) are located on the first floor of Hunt Library. The IDeATe maker facilities and Lending Desk are located in the basement of Hunt Library. The IDeATe administrative offices are located in Hunt 246.